The U.S. ranks 27 out of 29 for the rate of STEM bachelor’s degrees awarded in developed countries. But districts across the country are launching concentrated STEM efforts to reverse this trend—training more teachers in how to teach these classes and trying to get more kids interested in these fields. Emergency notification systems add features to better spread the message. Lots of schools are talking about the importance of preparing their students for an increasingly inter-connected, Webcentric world. Here are some districts that are “doing” it. 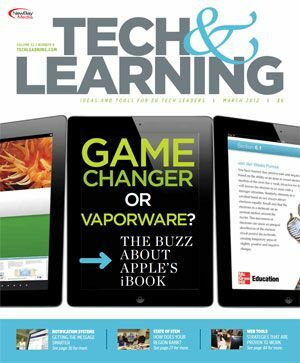 • Will Apple’s iBooks announcement finally kill paper-based curriculum? • The next big thing. • Is your district using e-portfolios to evaluate student work?